Ariana Grande brought the entire church to the red carpet at this year’s Met Gala. There’s no question at all that the “No Tears Left to Cry” singer stuck to this year’s theme: “Heavenly Bodies: Fashion & The Catholic Imagination.” The petite pop star was joined at the event by a pope Rihanna, a Joan of Arc Zendaya, an angel Katy Perry, a haloed Blake Lively and a temptress Nicki Minaj. Ariana Grande in head-to-toe Vera Wang at the 2018 Costume Institute Gala at The Metropolitan Museum of Art in New York City on May 7, 2018. Ariana teamed up with Vera Wang, who created her gorgeous custom strapless ball gown. The dress depicts Michelangelo’s “The Last Judgement” painting, which covers the whole altar wall of the Sistine Chapel in Vatican City. 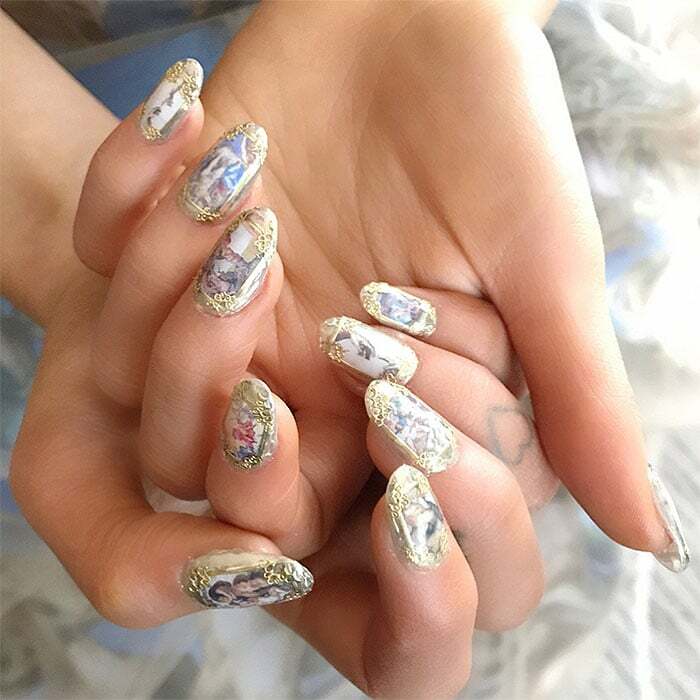 The 24-year-old pop star then approached Nail Swag LA to match her gown with intricate Sistine Chapel nails. Ariana, of course, wouldn’t be without her ponytail so Vera Wang also created for her a hand-draped horsehair headpiece worn with a huge ribbon on top of her head. Instagram closeup pic of Ariana Grande’s Sistine Chapel nails done by Natalie Minerva of Nail Swag, a nail art studio in LA. — posted by @nail_swag on May 7, 2018. Ariana Grande in a Vera Wang silk-organza strapless ball gown depicting Michelangelo’s “The Last Judgement” Sistine Chapel painting at the “Heavenly Bodies: Fashion & The Catholic Imagination” Costume Institute Gala at The Metropolitan Museum of Art in New York City on May 7, 2018. Is Ariana Grande one of your best dressed at the 2018 Met Gala?